3:00 p.m. - 6:00 p.m. Craft distillers in the state have received good news from the Illinois House. McLean County government will soon have a new administrator. Scoreboards are sponsored by COUNTRY Financial Representative Eric Lapan. Much of the legal analysis in law school is taught via the hypothetical question, wherein the professor poses a set of facts embodying the issue studied, and asks students to predict the outcome, based on those facts. As we near another local election, understanding what a Tax Increment Financing (TIF) district is and its role in economic development seems unclear to many I talk to. Based on the budget, Pritzker ought to change his initials from J.B. (whatever they stand for) to C.K. (Can Kicker). 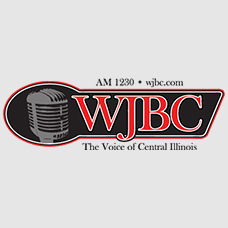 WJBC Voices: Raising the minimum wage–is it so traumatic? Newly-elected Governor J.B. Pritzker has promised to raise the Illinois minimum wage.